The home is the place where people develop their lives, it is their refuge, so it is essential to generate in it a suitable climate for the development of those lives, it must provide comfort so that daily activities are fully developed. One of the fundamental elements to create an atmosphere of comfort, without doubt, is light. A planned and executed lighting will provide the feeling of comfort necessary to carry out daily tasks. All tasks are affected by lighting, whether sewing, reading, or even meeting with friends, and correct lighting will depend on whether these activities are carried out comfortably and effortlessly. The lighting depends on several factors, the feeling that generates an environment, warmth, relaxation, or the dimensions of them, being able to convert a small room into a large and airy space, or a large room in a pleasant and intimate place. The lighting of a house must be a planned task, and one that complements the life habits of its inhabitants. The specialist who makes the planning and completion of the work, should take into account what are the usual and particular tasks of the house, in addition if there are special precautions to consider, such as age of the members, some type of disability, among others. Given the requests and tastes of the occupants of the house, you must respond and try to translate them in a technical way. To divide the planning of the lighting in stages, is doubly favourable, on the one hand for the user, who is clarified a little more the panorama of how the lighting of his house will be, and on the other hand, to conform the project of the lighting technician. Here in Australia you will find a top provider of lighting solutions with a wide range of imported lighting products. Select Lighting is your leading option to purchase LEDs in Australia. Contact us today or visit our store to check the entire catalogue of options we have to offer you. For general lighting: you must create a base, a first layer of light that will then serve to model the space with the following layers. This first light base should be as uniform as possible and not too light, but enough to allow a comfortable movement inside the room and circulation to adjoining rooms. It must be diffuse and enveloping and not produce hard shadows on the walls or others caused by the elements of the decoration of the premises. Some systems or sources of light suitable for this purpose are luminaires equipped with opal lamps or with ground glass diffusers to “soften” the emission of light in order to avoid such shadows. Another possibility is the indirect lighting coming from general gorges, floor lamps or wall sconces. The white ceiling will act as a large reflecting and diffusing screen, providing that first layer of light. The lighting of the work areas is the layer destined to provide the specific and necessary lighting to perform those tasks of the home that require a certain precision (reading, writing, sewing, making crafts, among others). In general, each of these activities is assigned a lighting value in the tables of levels recommended by the standards. It is convenient to respect these recommendations to avoid useless visual efforts usually derived in headaches and also physical, from body postures taken unconsciously trying to see better. This layer of the lighting system can be used independently of the rest or combined with another. It is advisable to use it together with the general lighting to avoid in this way too sharp contrasts of brightness between the work plane and the mediate environment. The highlight lighting is the last of the layers of the system and is responsible for creating the climate, the artistic touch within the lighting design. It aims to generate a center of attraction within a room. That centre will have to be unique and should be the first element where the visitor directs his sight, and around which will continue to build the decoration of the room, following an established order of priorities. It is not convenient to highlight many elements with the same intensity and similar effects, because they generate a disproportionate sensation and without aesthetic sense. 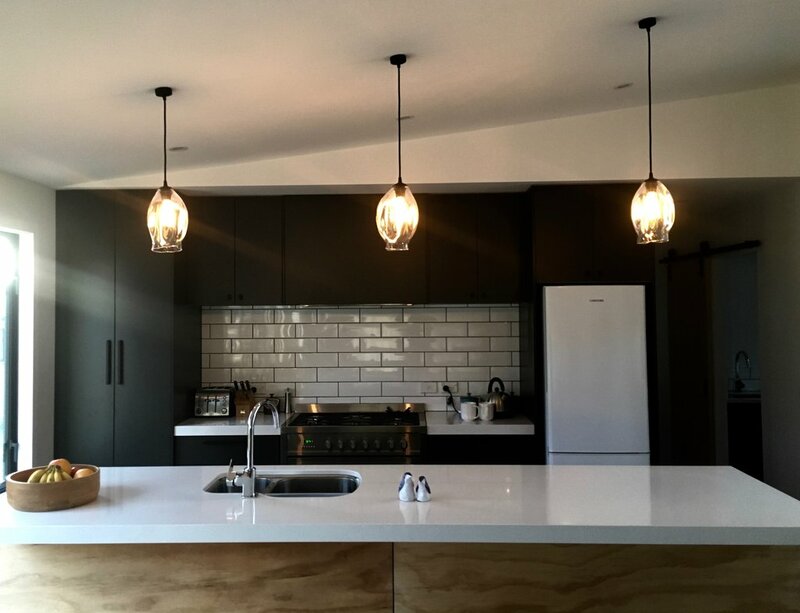 In general, it is not advisable to have central lighting elements, that is, to place hanging lights in the centre of a room, because they cause symmetry in it. Arranging the lighting in this way, generates the opposite effect to the centre of attention, and becomes an element that uniformly illuminates the four sides of the room, without any appeal, and producing an image without contrasts. The exception to this rule is the dining room, in this case the central table is itself the centre of attraction. Finally, we must understand that spending on the lighting of a house, is rather an investment, and if it is done with care and care, avoid future problems, so it is best not to spare expenses in this regard. Remember that the best option to illuminate any part of the house is including some LEDs that will provide you with enough lighting. If you want the best quality in LED bulbs, you must visit our store and enjoy our competitive prices for the most effective lighting bulbs you will find in the market.